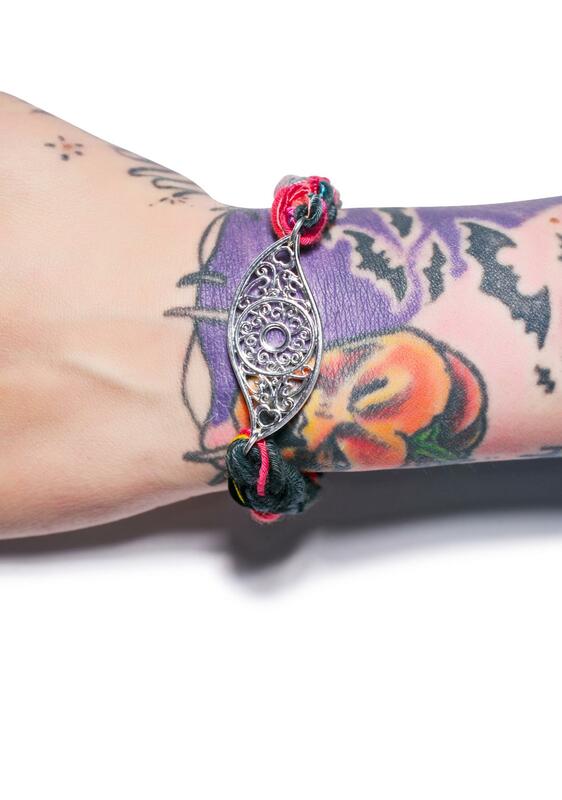 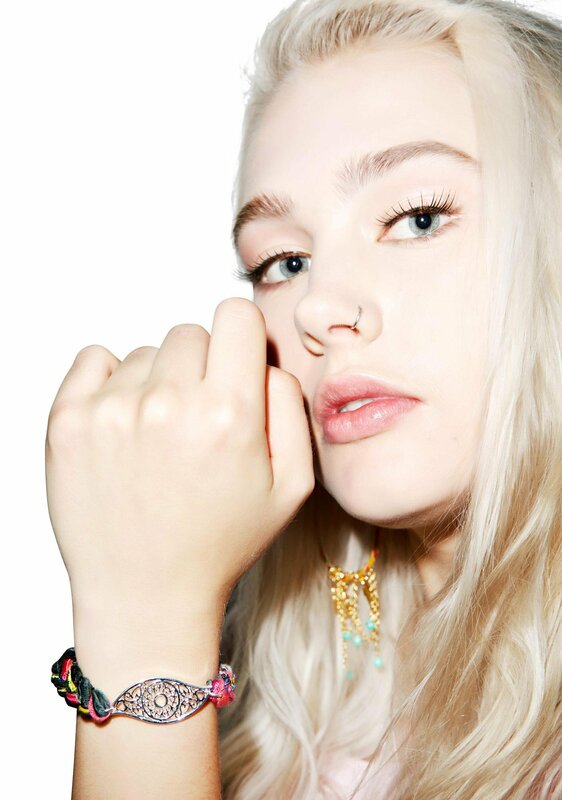 Ettika Toucan Vintage Ribbon Evil Eye Bracelet is lookin at you, kid. 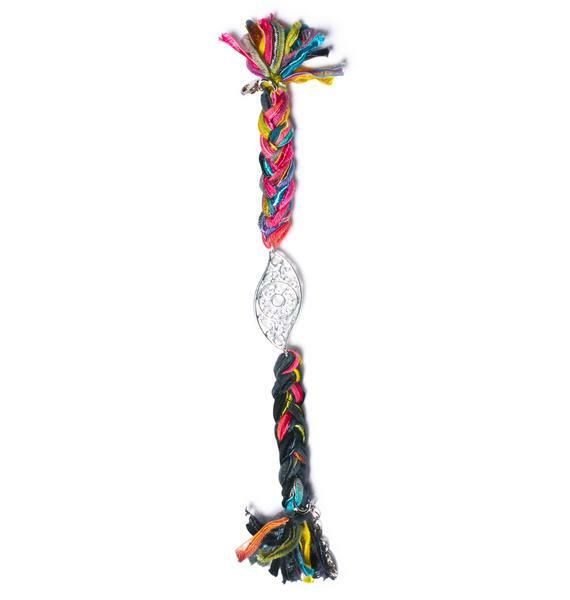 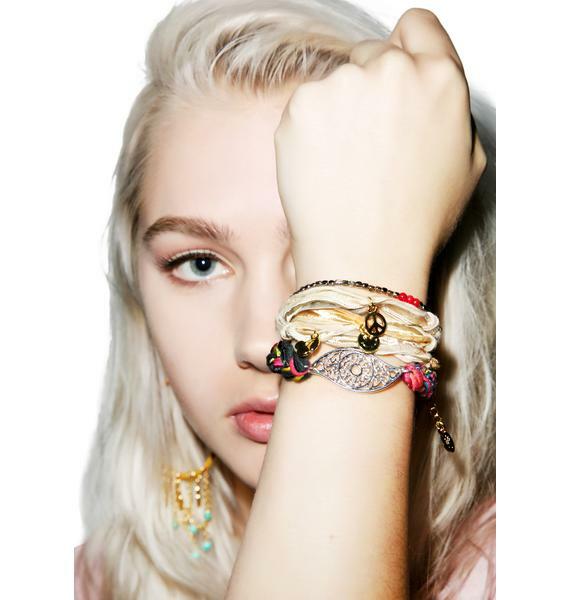 Featurin a toucan colorway of vintage ribbons wrapped and braided through its metal chain, this sik bracelet is raving with attention. 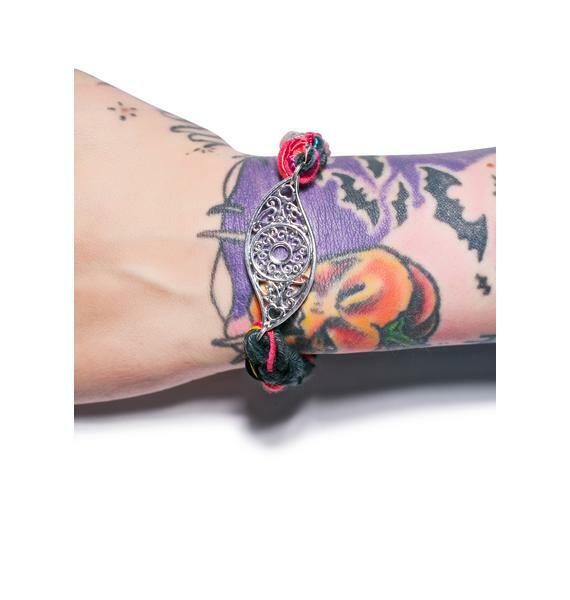 Complete with a silver, eye charm with delicate designed cutouts, this adjustable bracelet will keep an eye on yew from yer haters. 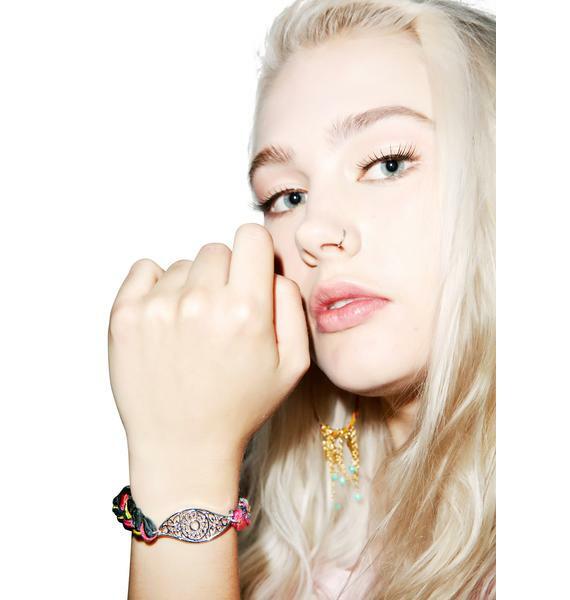 Handmade in the City of Angels, this BB will sit snug and pretty on yer wrist with the help of a lobster clasp, and will never let you outta sight.